A young man from Connecticut who buys Aladdin’s lamp at an auction and employs the genie to help him see his love, Fanny, who is sequestered in a school for girls. The belongings of a deceased New England schoolteacher are being sold at an auction in 1899. Bidding on one small casket climbs, but the buyer is disgusted to learn that the casket contains only a dusty old lamp. Chris, a former student of the deceased, obtains the lamp from the angry buyer. He soon learns that it is the same magical lamp which was once owned by Aladdin of storybook fame. Chris’s first request of the lamp’s Genie is that he be enabled to see his sweetheart, Fanny. Fanny is inaccessible because her parents have enrolled her in an exclusive boarding school for girls run by the stern Miss Prisms who is charged with keeping them apart. The resourceful Genie gains entrance for them both in the guise of college professors. The two phony professors are eventually unmasked, and Miss Prisms threatens arrest. But the Genie transports everyone to Aladdin’s court in the ancient kingdom of Etheria by way of a magical train and boat. The court is awakened by their arrival, where Aladdin promptly falls in love with Fanny, but she is not responsive. Aladdin is eager to gain possession of his lamp. He seizes it by trickery and orders the execution of Chris and his friends. But Fanny recaptures the lamp and saves them. 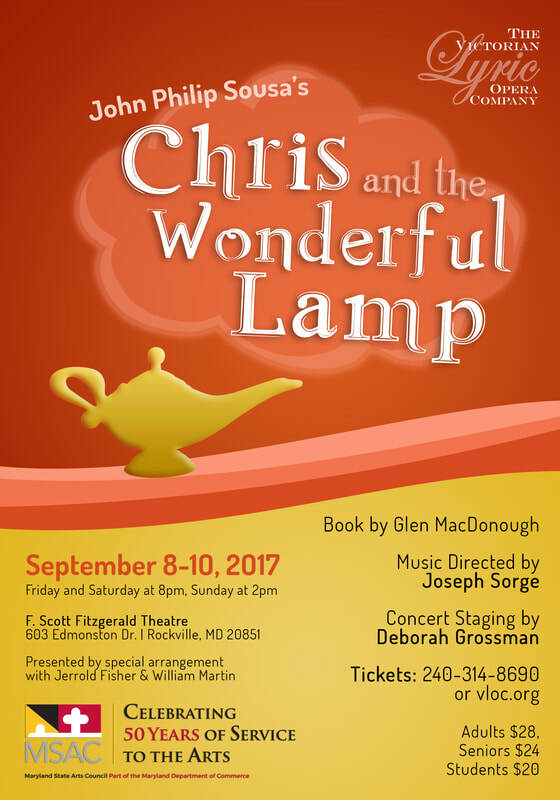 Chris orders the Genie to return them to a New England church. Once back in New England, the Genie springs a final surprise by sacrificing his supernatural powers to marry Miss Prisms. And, of course, Chris wins Fanny.